What a cold and dreary week! With gusty winds and drizzle, it is tough sledding up in the tree. My birthday was Monday and while I was enjoying the lovely weather, twice in life I couldn’t ride my birthday bike because of snow. And more times that I remember, May long gardening plans have had to be postponed. So I usually haven’t fully committed to the summer season until at least June. My great grandfather saw snow in Manitoba every month except August. But he lived to be 105. But Chris is still having fun! And try to stay warm out there! Normally we are still in the thick of winter at the end of March and most people are still trying to stay warm! But this year! What a great winter! And the lovely warm spell! 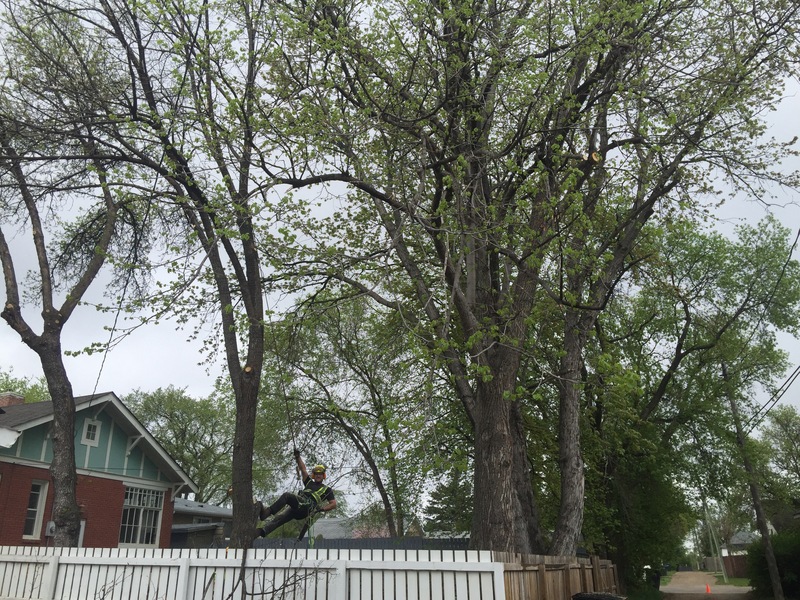 Call Reta today at 204-730-0368 to book elem pruning for August, generally marvel at the weather, or talk about the trees in your yard. 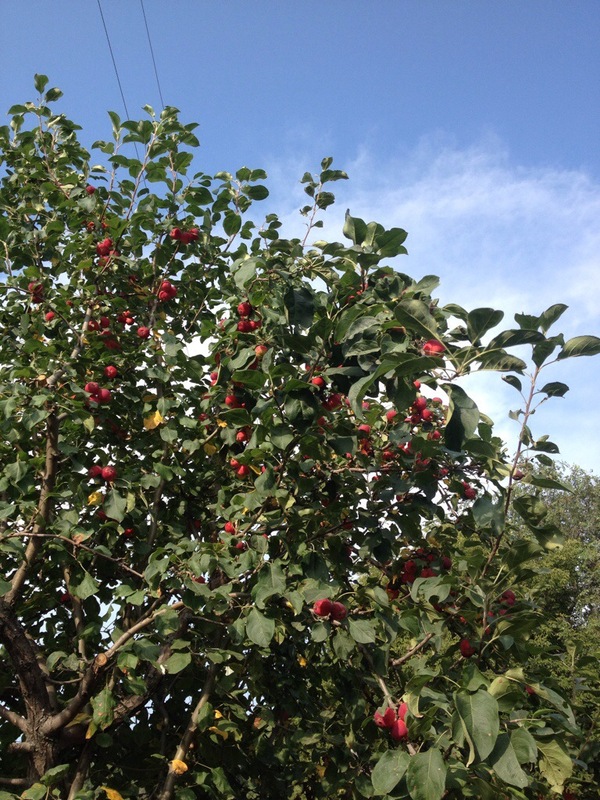 Every once in a while though, it is lots of fun to go out to the country and take care of a lot of trees in one day. We are able to chip in place, if you would like mulch cover around your trees. We can load it up in our dump truck and leave it anywhere on your property, or take it to one of our chip loving farmers! Call Reta today at 204-730-0368 if you have a technical challenge that needs solving or a shelter belt that needs some attention. 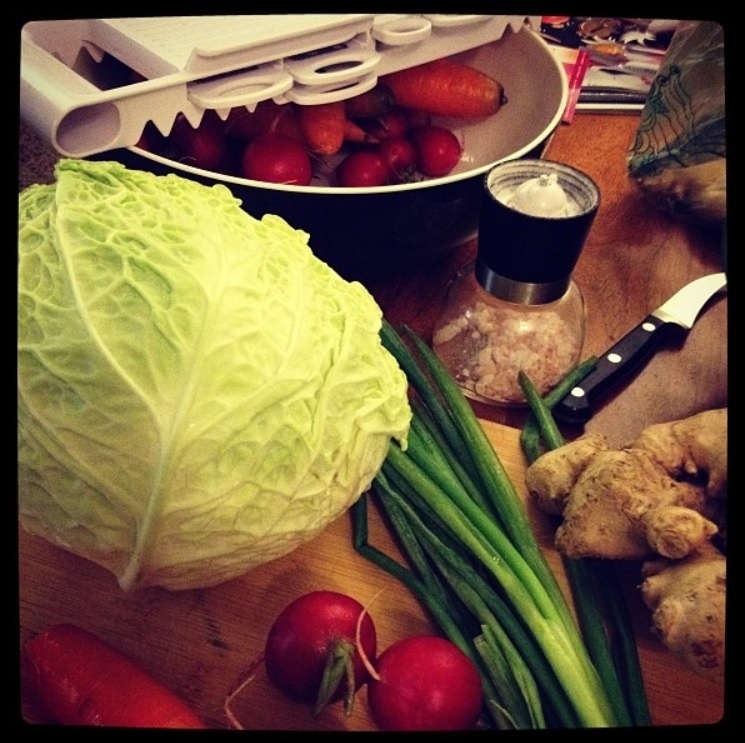 In my spare time – pause for laughter – I teach traditional food courses. Everything from how to make probiotic sodas to sourdough bread to fermented vegetables – you can do it at home, and I can show you how! 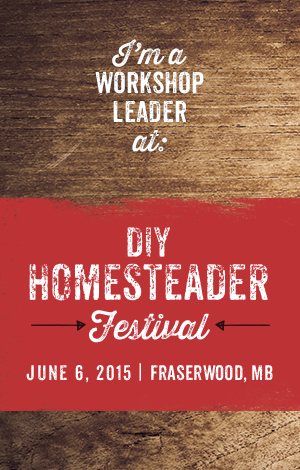 I will be presenting a workshop on Fermentation 101 with my lovely colleague Danielle Nykoluk! 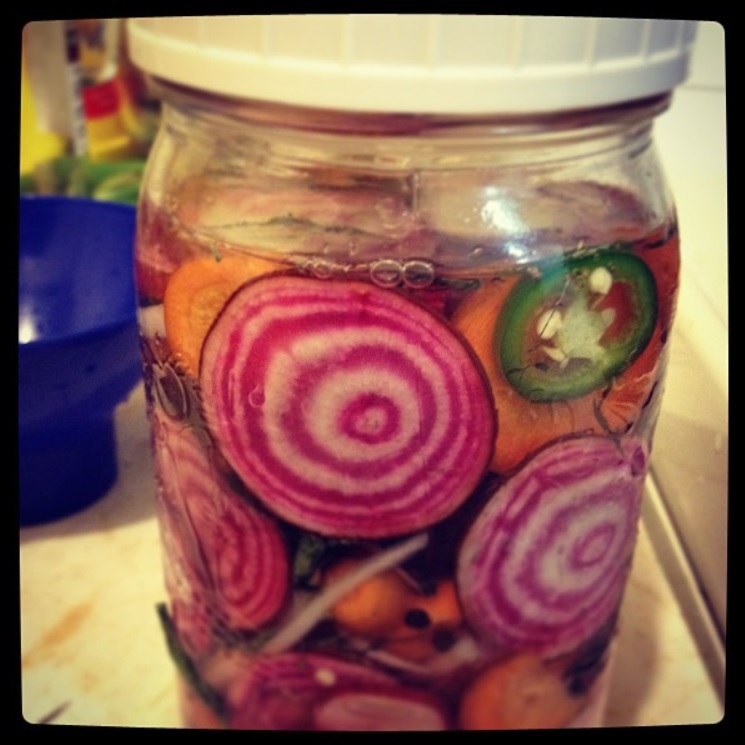 Fermenting vegetables is an excellent way to make a tasty and probiotic treat for the whole family, as well as diversify your food storage options. 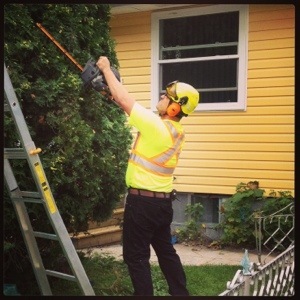 And a special surprise to all festival goers – my super awesome husband Chris Saborowski will be teaching a Pruning 101 course as well as demonstrating Chainsaw Safety and Maintenance! 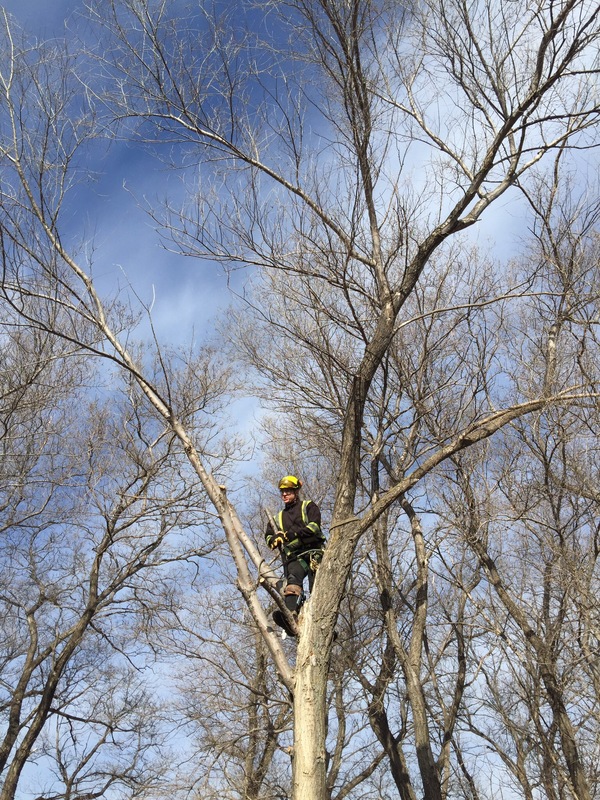 Chainsaws are an amazing tool for a homesteader to have and enjoy – but they require a little love and know-how! With the highest mass to power ratio of any machine or tool, a chainsaw is an excellent addition to the homesteader toolbox! August 1st is around the corner and you know what that means …. 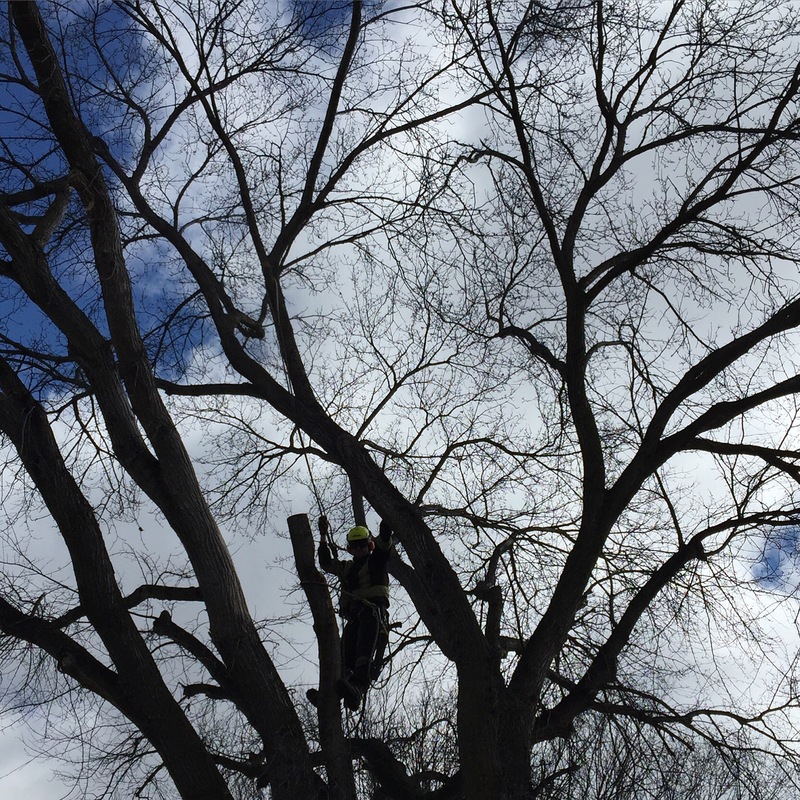 IT IS TIME TO PRUNE THE ELM TREES !!! Why now? Well, here in Manitoba, we have a nasty little pest called the Elm Bark Beetle. If you were to prune an elm tree during the ban (which runs from April 1-July 31st inclusive), these beetles would be attracted to the fresh wounds and potentially carry the fungus with them. The “old-kick-them-while-they-are-down” routine. We have been working with a local artist, and are pleased to be launching our new logo !